The Castle of Molina de Aragon is located on a hill commanding the surrounding valley, and is formed by an external line of walls with four gates and numerous towers, which defends the internal fortress. 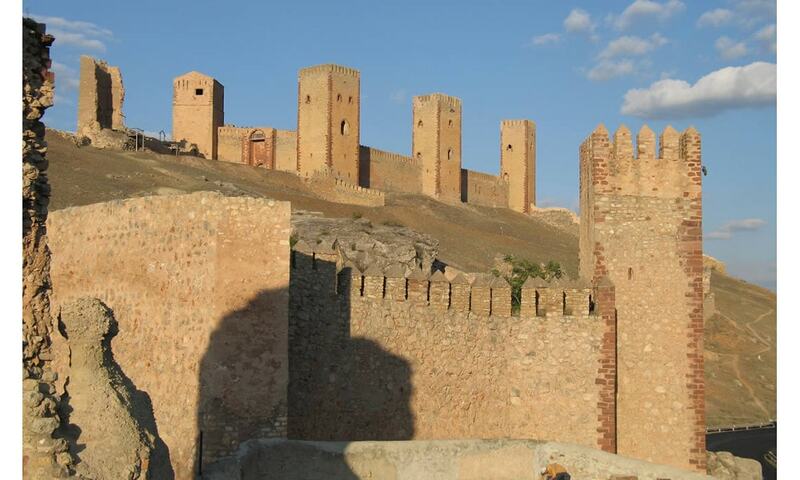 It originated as a Moorish fortress (10th-11th century), built over a pre-existing Celtiberian castle. The fortress was used as residence of the lords of the taifa of Molina. El Cid resided here when he was exiled from Castile. In 1129 it was conquered from the Moors by Alfonso I of Aragon, who gave it the Lara family.